Our nearest markets have seen Southern European B2C market growth running at a phenomenal 25% (eCommerce Europe). While Forrester report that, beyond the continent, cross-border shopping will account for 1 in 5 E-Commerce transactions by 2022, with US sales hitting a mighty $630 billion. The scale of opportunity overseas is vast. But the truth is, many UK companies are still grappling with the investment itinerary that comes with internationalisation. In fact, Econsultancy report that 62% of businesses believe they’re missing key opportunities in global markets. 62% of businesses believe they’re missing key opportunities in global markets. Step one is to take a hard look at your prices in the new market. Reworking your numbers for the new market doesn’t require a revolutionary approach. Just apply the same research and analysis you originally did at home, paying special attention to the local businesses you’re about to go shoulder to shoulder with. Remember that markup pricing, vendor pricing, psychological pricing and keystone pricing are all proven strategies. But they’ll only deliver sales as long as you nail the essentials. Don’t make the misstep of being 10% more expensive than a local market competitor on Google Shopping. International shipping strategies start at home, so take a look at your existing UK base first. The trick is to invest time with your existing partners. Get to grips with their international service categories, and make sure your shipping matrix can handle the right size and weight items through the right partners. This is your chance to swot up on your existing operations, balancing delivery costs against the best possible end-user experience. Free shipping really has “shown a lot of promise in reducing shopping cart abandonment” (Forrester Research), but just remember to stay vigilant about margins when you’re juggling different international costs. Once all the detail is mapped out, make sure you model it accurately within your E-Commerce platform. Work hard to keep the subtleties of your service category selection with accurate size and weight data—and don’t forget to blacklist countries you won’t ship to! With over 250 options from credit and debit cards, to digital wallets and direct debit schemes, all designed to optimise conversions for their global niche, the full selection of local payment options can feel overwhelming. But this isn’t the time to bury your head in the sand. If you’re selling in Spain, for example, you can safely rely on standard credit and debit cards for 91% of your consumers (eCommerce Europe). But any effective German expansion means investing in payment systems like GiroPay and ELV. The key is to narrow down your options for the territory you’re trading in. For instance, as global traders, you can cover the biggest tactics by looking to Visa, Mastercard, AMEX and PayPal. Meanwhile, trading in Europe needs a focus on options like iDeal, GiroPay and SoFort, whereas AliPay and UnionPay are the top choices for China. Getting concrete returns from your search marketing strategy is a tough enough task at home in the UK—taking it on abroad requires the same in-depth approach. Paid Search is the faster way to results, making it ideal for testing and refining the findings of your pricing research. You’ll still to consider search engine optimisation (SEO) and social media, but remember the value of patience: as always these are slow burning strategies that take time to really deliver ROI. For long-term presence and visibility in Google and other search engines, make sure you’re following SEO best practices from the beginning—you’ll thank yourself later. When it comes to social media, you’ll need to set up a specialist account for the market you’re expanding into, then build a local following, find evangelists and drive tailored content. It can be tempting to skip out on translation for certain markets. Take the Netherlands: when over 90% of the population speak English (European Commission), why make the investment? The answer is simple: 9 out of 10 Europeans say they always prefer to shop on sites in their own language when given the choice (European Commission), so translated content is a must if local language competitors are serving up products that directly compete with yours. Cheap and cheerful automated translation can be a tempting option, but nothing erodes trust and reduces conversion rates like translation errors. In our experience, every business should at least consider having a native speaking professional review (if not write!) the content. Make sure you avoid these 5 mistakes when translating your website. And that’s it—the first five steps for your international expansion complete. Even when backed with the budget to pull it off, international expansion always comes with complications, and each country comes with its own unique challenges. However, the happy truth is that internationalisation isn’t as complex as it seems. Get it right and you’ll delight your customers while maximising your own profits! It’s easy to slip into thinking that consumers do their shopping based on cold, hard facts. Get the right product, set the right price, display it clearly on your site and there: conversions will take care of themselves. Right? The truth is emotion goes right to the heart of every purchase. Appealing to consumers’ hearts is a fact of life in E-Commerce, and business returns have been proven time and time again in ‘behavioural economics’—a buzzword-heavy but highly useful take on things. Ultimately, growing your business means engaging consumers on a human level. Giving them reasons to connect with your business and build a relationship with your brand. So how can we create these relationships and drive conversion in E-Commerce? Well it turns out taking advantage of consumer behaviour to boost conversions and sales might be easier than you think—the secret is just staying smart about consumers’ motivations. The strategy behind ‘price anchoring’ is simple: price is always relative. Truth is, consumers hitting your pricing pages don’t know whether your products offer good value straight away. Instead, they work it out by comparing the price of your products to others—finding an ‘anchor’ price. To boost conversions all you need to do is make sure you have the right ‘anchors’ on display. Seeing these options, 84% of consumers went for a bigger spend with the online and print package, while just 16% bought the cheaper online only package. Meanwhile zero consumers went for the print only option. So why did the Economist offer a third option—the print only package—that they never sold? Given a straight choice between the cheap online only, and the expensive print and online package, a massive 68% of consumers went for the cheaper option instead. But keep the expensive print only package on display, and the revenue-boosting online and print version looks like a bargain, which dramatically changes consumer behaviour. Of course, you don’t need to invent whole new packages—and you definitely don’t need to start manipulating your prices. You just need to make the most of your careful pricing calculations by making sure consumers see your prices in a context that helps them see the value. If you’ve made a single online sale then you already have a massive marketing asset—your existing customer(s). No matter how on point your marketing strategy is, consumers will always listen to other consumers before they listen to you. This hands your business another easy way to boost conversions: let your existing customers do the persuading for you. The simple way to nail social proof is putting customer reviews front and centre. When products with over five online customer reviews enjoy a massive 270% higher conversion rate—up to a staggering 390% for more expensive luxury products—the results speak for themselves. But even with numbers like these many retail businesses still hesitate to set up transparent online reviews. We get it: nobody wants to broadcast negative reviews. So here’s the upside. Social proof works better with a sprinkling of bad reviews. In fact, products displaying an average of 4.5 stars from customers are more likely to convert and sell, than products with 5 stars. Simply put, honesty is your best policy online. Consumers want to see what your current customers think before they’ll make a purchase, but they also know when your story is too good to be true. So boost your marketing budget with ‘social proof’ by enabling reviews, and embrace the less than stellar responses too. Scarcity has to be one of the oldest tricks in the E-Commerce handbook, and for good reason—it’s built on instinctive human behaviour. As consumers, we’re all wired to want what we can’t have. The ‘scarcity bias’ means we’ll just assume that a product in short supply must be worth having. Managing scarcity is at the core of successful E-Commerce. You’re already grappling with changing online demand and running low on warehouse stock—simply spelling that out for consumers actually makes your products more exciting, so it’s a great way to encourage conversions and sales. That means you have to genuinely run low on the stock before you advertise it. If consumers think you’re just dressing up your stock levels or delivery policies to drive sales, they’ll abandon your site in droves. So while scarcity is a great trigger to add to your web pages, it has to be built on a solid back end. At minimum, you’ll need an E-Commerce platform that can accurately track orders and stock levels in real time before you can pass that information over to consumers. Once again, making the most of consumer behaviour comes back to being transparent across your operations, not just on one webpage. Get behaviour right and strategies like price anchoring, social proof and scarcity can transform your conversion rates. But real results take more than a few nifty tricks on your product pages. Like we’ve seen, these behavioural strategies only work when you use them transparently—when consumers trust that you aren’t just using these triggers as cheap sales tactics. 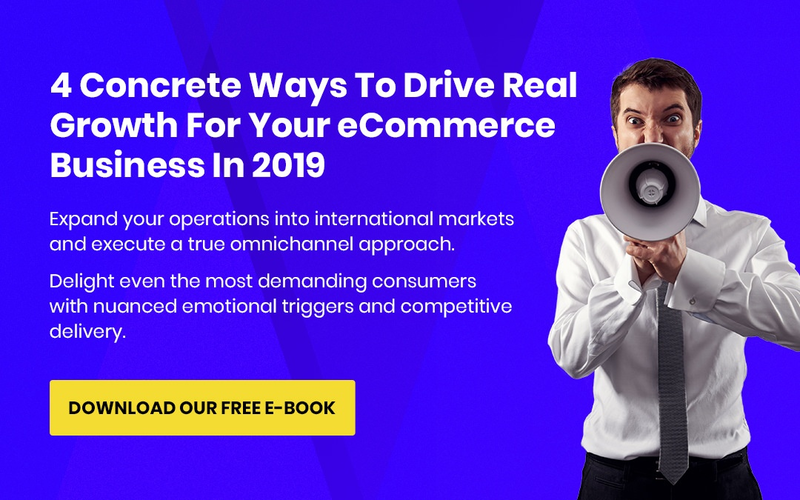 And earning that trust is always a bigger commitment, a push for quality and consistency that goes right to the heart of your E-Commerce strategy. 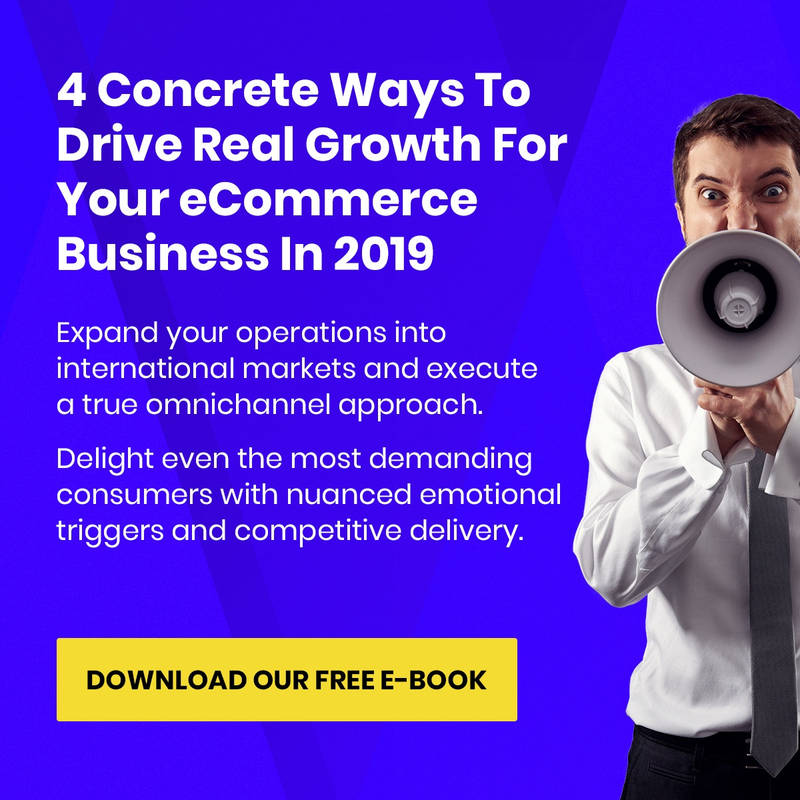 To get more behavioural strategies and discover how they work in your wider E-Commerce growth strategies, download our eBook Beyond the Hype: Four Fundamentals For Sustainable E-Commerce Growth now.